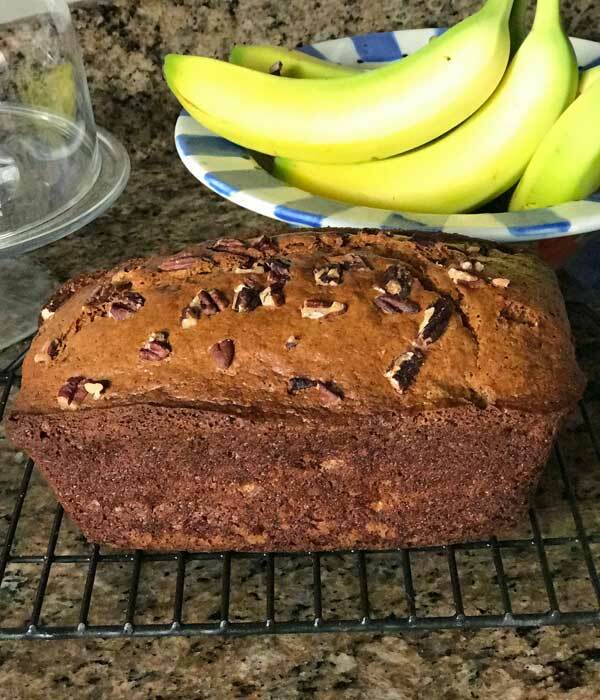 A nicely shaped banana bread made with butter and sour cream. Preheat the oven 350°F Grease and flour a 9x5 inch loaf pan. Whisk or sift together the flour, baking powder, baking soda, salt and cinnamon. Make sure all the ingredients are very thoroughly mixed at this point because the batter is thick. Combine the sugar and butter in the bowl of a stand mixer and beat until creamy. Scrape sides of bowl and add the eggs one at a time, beating just until blended. Add the vanilla and the bananas and stir well, then add the flour mixture and the buttermilk alternately, mixing until blended. Transfer batter to loaf pan and bake for about 60 to 75 minutes (test it after 60) or until a toothpick inserted in the center comes out clean.